We are proud to have been awarded the Good Hotel Guide Awards 2017’s much-coveted Editor’s Choice Award for both Romantic Hotel 2017 and Country House Hotel 2017! 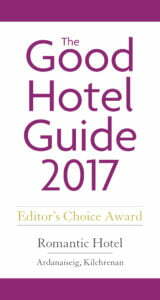 The Good Hotel Guide is the leading independent guide to hotels in Great Britain and Ireland and prides itself on being completely impartial. The Guide says of Ardanaiseig that we have ‘a pleasingly old-fashioned air of country house grandeur’ and ‘superb, romantic views’ over our gardens. 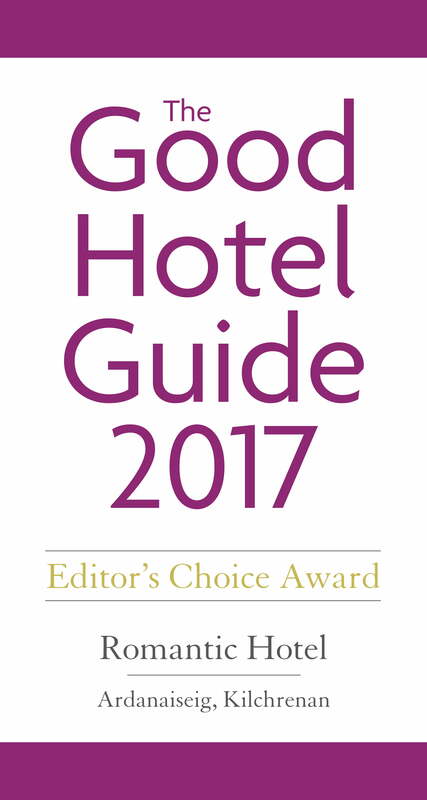 We are looking forward to receiving our framed certificates at next week’s Editor’s Choice 2017 awards, which are taking place at the Independent Hotel Show, Olympia! Here at Ardanaiseig we are very proud of all our accolades – you can see them all here.